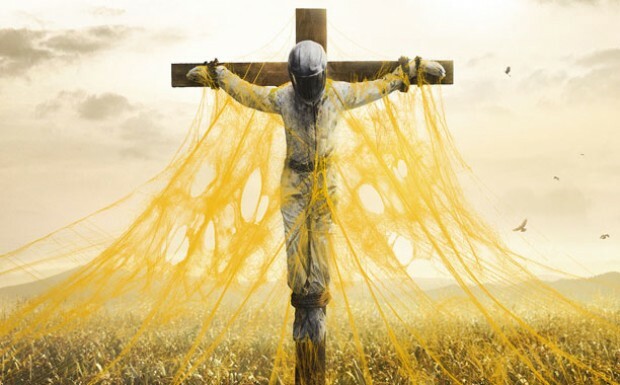 In the last two episodes of Helix we finally reach the point of no return as a divided CDC rush to find a cure, while an equally divided Neo-Luddite cult set themselves in figuring out ways in dealing with their Immortal leader. On my last review of Helix, I note that a brewing section of discontent was emerging in both the Neo-Luddite cult and within the company of Immortals known as Ilaria. Where the Immortals were divided in how to address a certain global situation of overpopulation, the Neo-Luddites were divided on how to address both the new strain of NARVIK virus and their own leader, who clearly didn’t have their best interests at heart. By the end, the leader made the decision to execute as many of his members as possible via poison. During these latest two episodes, in response to their leader’s clear betrayal, those who were left of the Neo-Luddite cult joined forces to overthrow their leader and throw him in a underground chamber, which he’d be forced to remain there for all of eternity. As for the CDC, as soon as they found out that a large section of the Neo-Luddite cult had been killed, with convenient timing, the National Coast Guard arrives who were sent in to bring the CDC home and effectively quarantine the entire island. However, the most members of the CDC convince the Coast Guard to help them find the cure, claiming to be near a breakthrough. For Peter Farragut, though, who was leading the CDC, he decided to stay behind and help out one of the former co-leaders of the cult who were killed. 30 years into the future, Julia is set out in locating the abandoned ruins that once made up the Neo-Luddite cult’s safe haven. Once she reaches the area, she quickly finds what appears to be a cemented burial site with the leader of the Neo-Luddite cult’s name etched on it. As she breaks through the cement she then discovers that the leader is still alive, though clearly affected by his 30-year-long isolation. For Julia, however, her finding the Immortal leader is one step closer in stopping Ilaria’s creation hurting anymore people – including herself. Back in the present, the CDC are now searching the woods for a “magical” tree that bleeds, of which the blood of the tree supposedly keeps the virus’ side-effects at bay. What they didn’t account for was that they weren’t the only ones in the woods, whom are now being hunted down, one by one. Back at the church, the new leader of the Neo-Luddite cult reveals to an Immortal member of the CDC her desire to achieve immortality herself – with a cost. Until the Immortal member agrees to her reach immortality, the new leader will hold her Immortal baby hostage inside of a ectogenesis chamber. These last two episodes of Helix are definitely beginning to revolve itself largely around the Immortal presence within the island. With one Immortal leader disposed of, and another practically held hostage at the risk of losing her Immortal child, the conflicting dichotomy between the Neo-Luddite cult and the Immortals is clearer than ever. Stuck in between you have the scientists of the CDC divided on how they should address the situation – do they help the Neo-Luddite cult or do they find a cure to the NARVIK virus, just as the Immortals are set out in achieving as well? This definitely plays into the prospect of conflict in our own world between Transhumanists and those who adhere to Neo-Luddism. It’s in my hopes that such a war doesn’t actually materialize and that films and TV shows like Helix will merely be a failed – and equally flawed – perspective of how the future unfolds. But it shouldn’t be downplayed either and shows like Helix should be taken serious enough to begin discussing ways in which we can mitigate any possible risk of war between those who are enhanced by advanced technology and those who are not. Without proper safety mechanisms in play, that future may very well likely materialize. Until then, however, I hope you enjoy these latest episodes of Helix. If you haven’t watched season 1 of Helix, then be sure to watch it on Netflix. The next episode of season 2 will be airing tonight, at 10pm EST, on the SyFy channel. B.J. Murphy is Editor in Chief for Cyberlife, a Writer for the Institute for Ethics and Emerging Technologies, and the Editor/Social Media Manager of SeriousWonder.com.